For the last few weeks,the Fire 8 HD tablet has been sold out on Amazon. 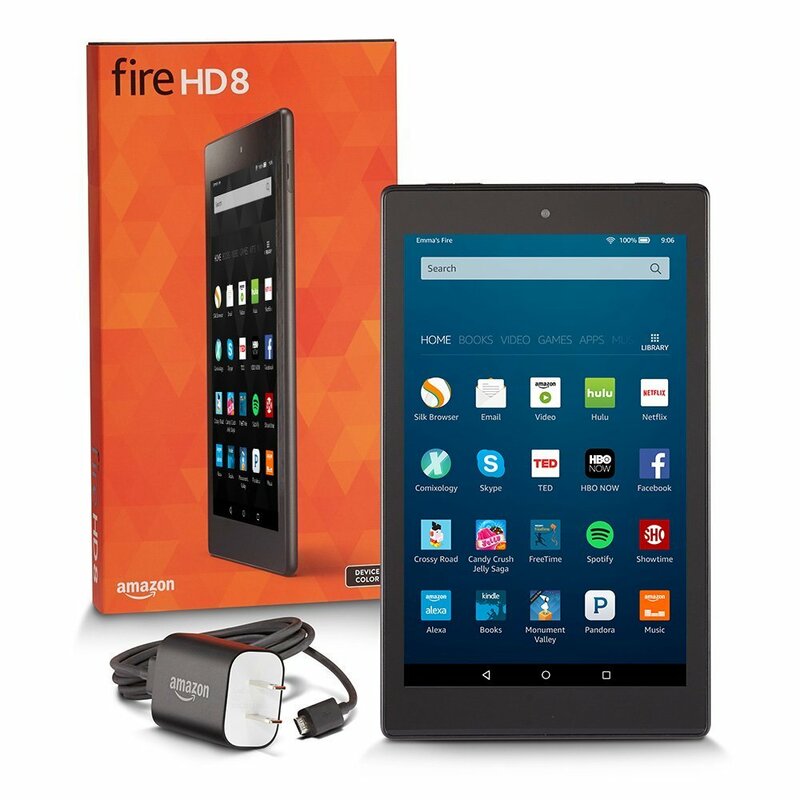 Today, Amazon announced an all-new version of the Fire 8 HD tablet. The new version is cheaper, too: $89.99 compared to $149.99 (with special offers). The new Fire promises to incorporate Alexa digital voice assistant from the Echo line of products into the Fire 8. According to Amazon’s website, other products in the fire line will be also receiving the Alexa update in the future . The new device has a faster processing speed, more storage, an SD slot increased battery life and features a 1200 by 800 189 PPI resolution screen. You can find more specs listed here. I ordered one of these for myself to give it a try. I have an aging Samsung Galaxy Note 8 tablet which I have been thinking of replacing. Like the Fire 8 HD, the Note 8 also has a 189 ppi resolution screen and I frequently use it for reading Scribd and Pocket articles. I bought one of the $50 fire 7 tablets last year and found the 171 ppi resolution bad enough that, with my vision problems, I won’t use it for reading. The 189 ppi screen is the minimum I find acceptable for reading. Personally, my ideal would be an Alexa update for my favorite Fire tablet, the Fire HD 6. The HD 6 has a 252 ppi screen resolution that makes for really enjoyable reading experience on a tablet. There’s no word yet on whether that model will receive the update that incorporates the Alexa features. Amazon has had an ongoing price reduction on the HD 6, so they could be clearing stock for a new version. You can pick up an HD 6 for $69.99. And, for you fellow case fashionistas, I am already checking into the case/cover situation and will have an update soon. What about you? Is a new Fire tablet on your radar? This entry was posted in Kindle Fire, News, Tablets and tagged Alexa, Alexa-enabled, Fire 8 HD, Fire HD 6. Bookmark the permalink.